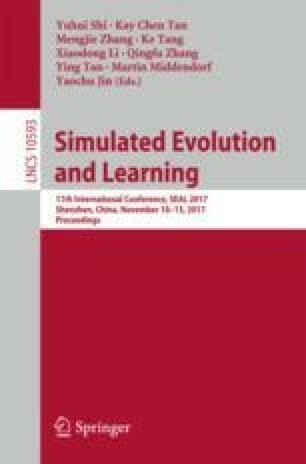 This paper presents a survey of evolutionary computation theory for remote sensing image clustering. With the ongoing development of Earth observation techniques, remote sensing data has entered the era of big data, so it is difficult for researchers to get more prior knowledge. In recent years, many experts and scholars have a strong interest in remote sensing clustering due to it does not require training samples. However, remote sensing image clustering has always been a challenging task because of the inherent complexity of remote sensing images, the huge amount of data and so on. Normally, the clustering problem of remote sensing images is transformed into the optimization problem of fuzzy clustering objective function, the goal of which lies in the identification of correct cluster centers in the eigenspace. But traditional clustering approaches belong to hill climbing methods, which are greatly affected by initial values and easily get stuck in local optima. Evolutionary computation techniques are inspired by biological evolution, which can provide possible solutions to find the better clustering centers. So, researchers have carried out a series of related studies. Here, we provide an overview, including: (1) evolutionary single-objective; (2) evolutionary multi-objective; (3) memetic algorithm.